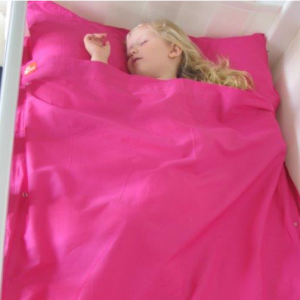 Kids Zip Sheets are an innovative type of zippered bedding for children that incorporates two zippers in the design to keep kids tucked. When the kids sleep better, so do you! Our zip on sheets are so versatile, you can use them zipped up, unzipped, or zipped part of the way. Yet they stay in place, the top sheet is there for your child when they need it, and they are a snap to zip up in the morning. The beautiful colors make them attractive enough to be used without a top comforter. A blanket can always be placed on top for extra warmth. 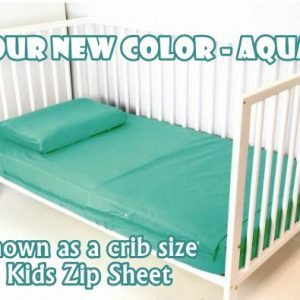 Our zipper sheets come in crib, twin or full size and they will fit mattresses up to 14″ deep. 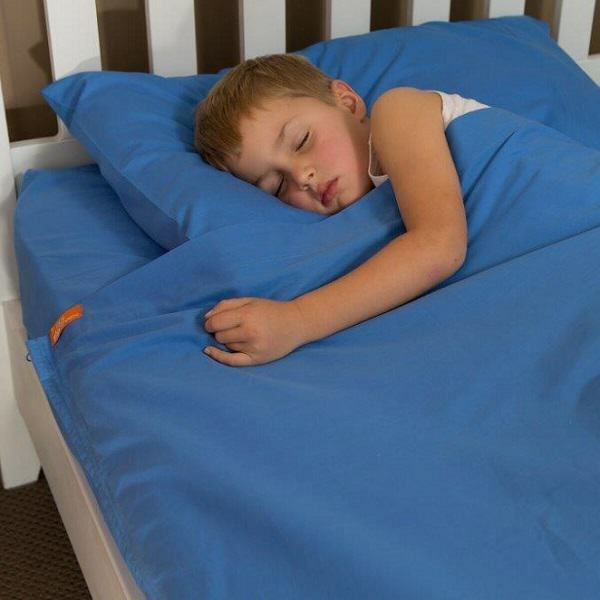 Our 100% cotton kids sheets are machine washable. All but a few are machine dryable too! Give zippable bedding a try!